Spine has chips and cover has few creases. 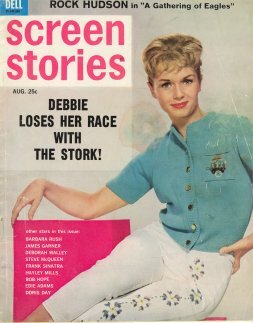 Cover depicts Debbie Reynolds. Features Barbara Rush, James Garner, Deborah Walley, Steve McQueen, Frank Sinatra, Hayley Mills, Bob Hope, Edie Adams, and Doris Day.